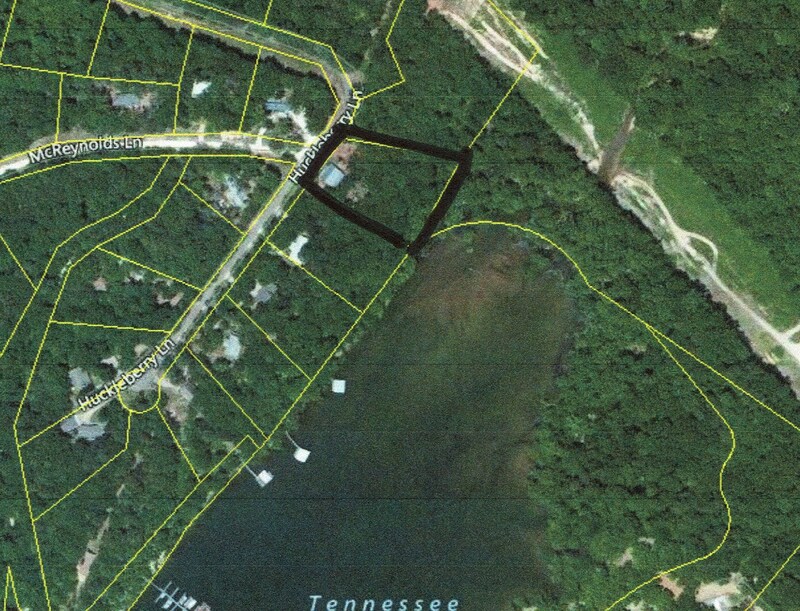 415 HUCKLEBERRY LN - TENNESSEE CABIN WITH WATER ACCESS ON PICKWICK LAKE / TENNESSEE RIVER. Waterfront Boat Docks, Boat ramp, Fishing, Boating, Recreation. This fantastic deal includes a fully furnished 2 bedroom, 1.5 bath cabin sitting high upon a hill overlooking Pickwick Lake, plus undivided interest in a nearby private waterfront area that is boat house permissible! Cabin features a huge open living area with tall vaulted ceilings, breakfast bar, and cozy gas fireplace. Both bedrooms are sizable, with the master having a private half bath, and door leading out onto an enormous 12ft x 40ft covered back deck. Other extras include wood floors throughout the house, along with solid wood doors, and a low maintenance exterior featuring vinyl siding and metal roof. This allows more time for fishing, swimming, boating, skiing, kayaking, on Pickwick Lake! !